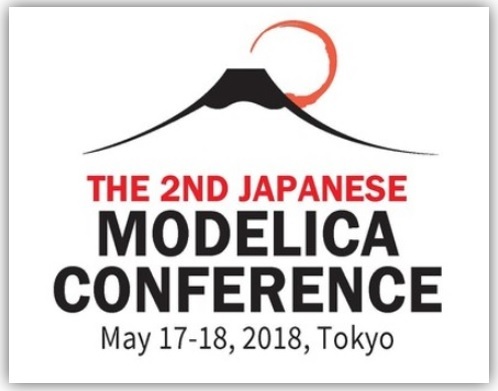 Claytex exhibit and present four technical papers at the 2nd Japanese Modelica Conference taking place in Tokyo in May. In this industrial paper we will look at the Vehicle Systems Modelling and Analysis (VeSyMA) platform developed by Claytex. This suite of Modelica libraries was created to provide modular approach to vehicle modelling, where the user can tailor the complexity of the model to meet their specific needs. The foundation of this capability is the VeSyMA library which provides the architecture of the vehicle, and the base classes for the vehicle subsystems. It builds upon the open-source Vehicle Interfaces library. The VeSyMA extension libraries then provide more detailed modelling capabilities in specific subsystem and domain areas; such as engines, powertrain and suspensions. Because the VeSyMA extension libraries use the base classes from the VeSyMA library, all the models created are compatible. Driver-in-the-loop (DiL) simulation is playing an increasing role in automotive OEM development processes. Vehicle models used in these activities therefore need to be as accurate, and realistic, as possible. This paper will present the modelling and development of a pseudo-hydraulic power steering model, designed for usage in DiL applications. Specific focus during development has been towards the quantification and analysis of the torque feedback from the steering model to the simulator rig steering wheel, to produce as realistic a steering ‘feel’ as possible. Metrics derived from physical testing of vehicle steering systems have been deployed to analyze the torque feedback of the steering system. Subsequent assessment of the steering model and specific parameterization has been used to inform the model parameters utilized. Results quantifying the performance of the steering model during full vehicle testing using the Claytex VeSyMA platform are presented. Whenever a full vehicle model is required to be run, simulation time becomes of prime importance. Some compromises can be made in terms of model detail in areas of the model that are not directly the subject of the study. However, the results the simplified subsystems produce still need to be close enough to the ones of the detailed subsystems in order to provide correct interactions amongst the components of interest. The gearbox is one of the most computationally expensive subsystems in a vehicle model. Bearing models with friction enabled, gear pairs with mesh and mesh loss models, shift mechanisms can slow down the model simulation. This paper shows a method to reduce a gearset model in a quick and automated manner. Essentially, the gear set is run several times with different speed and torque inputs ranging from zero to a maximum defined by the user. This is repeated for every gear. The results of this series of experiments are then collected and mapped and the new reduced model is automatically generated and parameterised. This paper presents an acausal model-based performance analysis of a plug-in series hybrid fuel cell vehicle (FCHEV) (also known as the H2EV) in Dymola. The modelling part includes the development of a full vehicle and its subcomponents. The analysis procedure involves investigation of the vehicle performance using both real-world (in the UK) and homologation (Japan) driving conditions. The effect of the addition of parasitic load on vehicle performance is also explored based on these two countries in conjunction with corresponding drive cycles. With the help of this developed model, a well-to-wheel (WTW) calculation is also performed. Comparing to a commercial FCHEV, the WTW analysis results show that, by adopting the proposed H2EV during the Japan Olympics 2020, GHG emission can be reduced and fuel economy improved with an assumption that Japan produces hydrogen fuel from renewable energy resources only.